Blending traditional Indian architecture with modern hospitality, the D Imperia Hotel Chattarpur is an iconic hotel that stands out for its exceptional service and beautiful location. 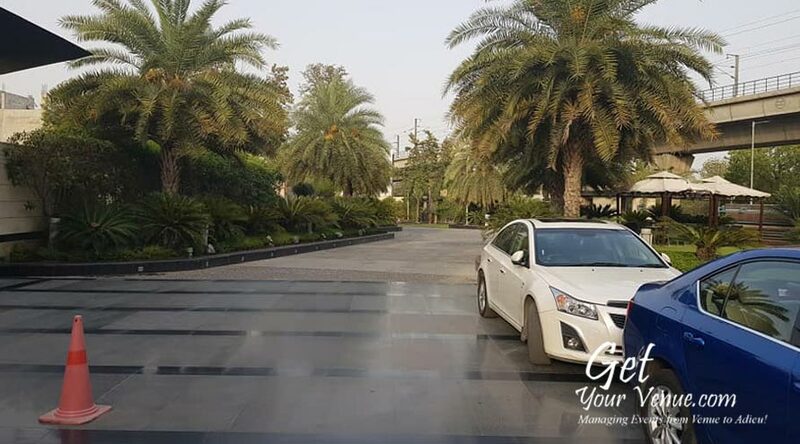 One of the premium wedding venues in South Delhi, it offers a sophisticated and idyllic setting that makes for an enjoyable and memorable experience. 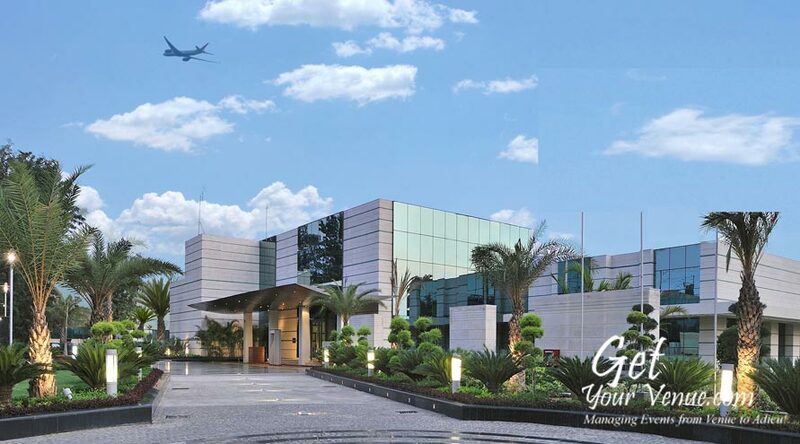 The strategic location of this hotel is what distinguishes it from the other venues on your probable list. It has every quality a wedding venue should have - great view, easy to reach, fabulous ambiance, soothing serenity; just the perfect place to get married. 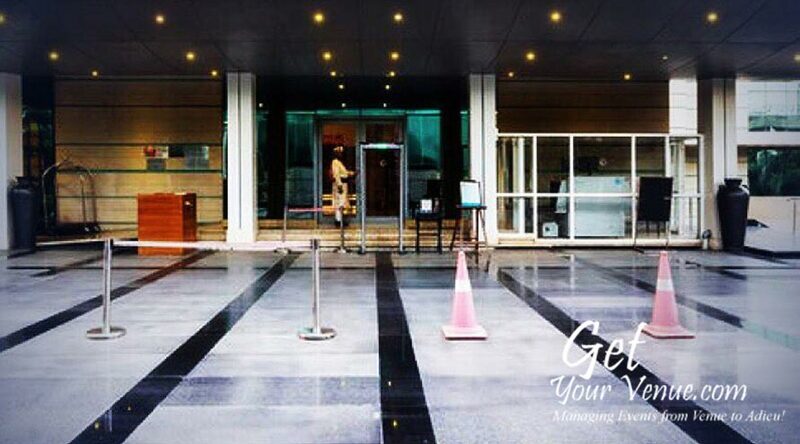 The hotel stands elegantly with a beautiful yet contemporary façade, well-manicured lush green gardens, dotted with trees all around and an architectural style that creates the feeling of open spaces seamlessly blending with each other. 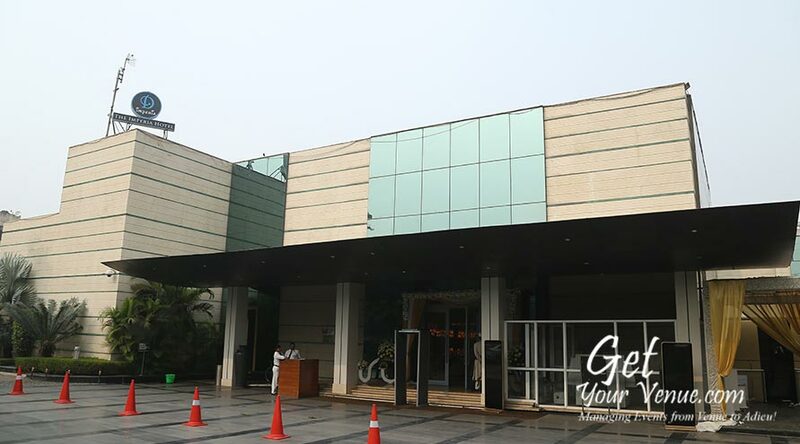 Facilities include a large parking area with valet facility, with a wide range of menus featuring local and global cuisines, round-the-clock event support by professional and experienced event planners, as well as one banquet hall and two wedding lawns in South Delhi. 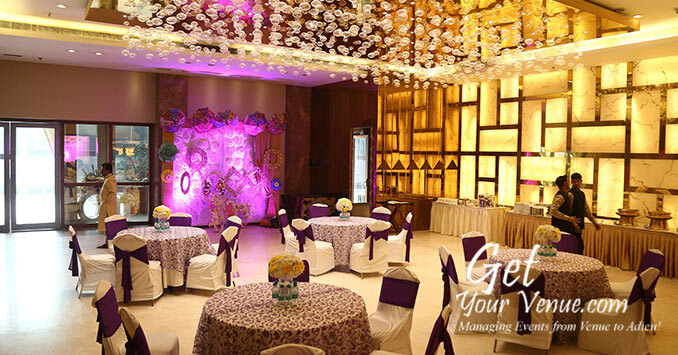 Rest assured, From the moment you arrive till your events are complete, D Imperia Hotel Chattarpur serves you with impeccable service. 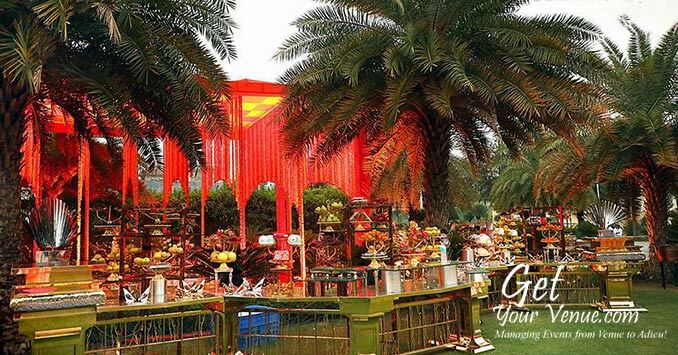 Here, you can create beautiful wedding memories and treasure them for a lifetime. 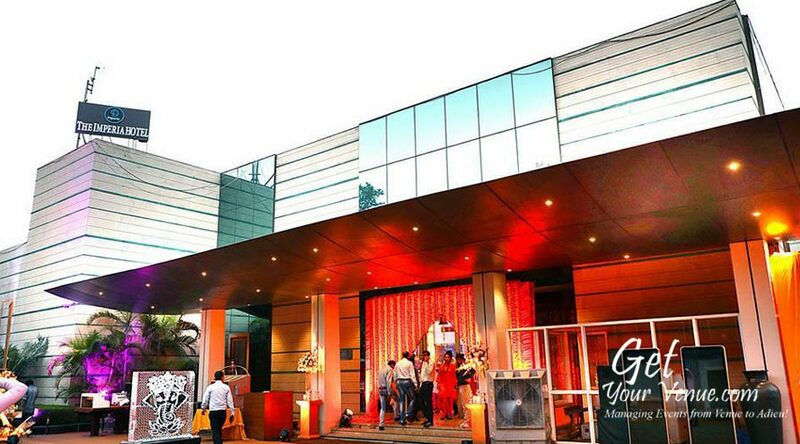 Distinctively modern and classically elegant, the D Imperia Hotel Chattarpur offers the quintessential wedding experience. 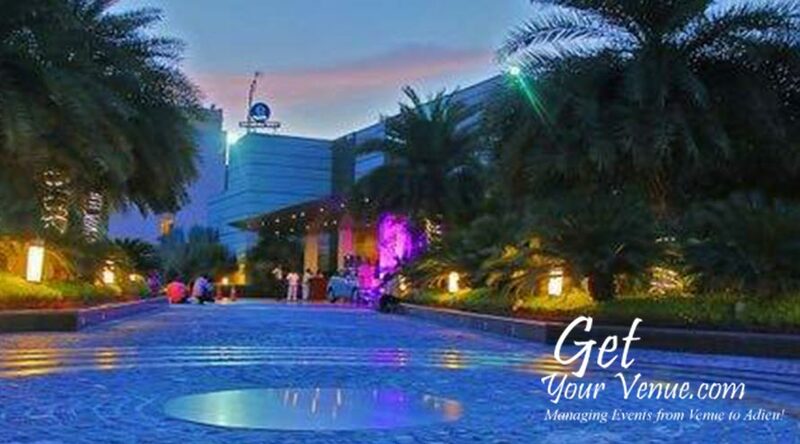 It has the following wedding areas in South Delhi where you can host any wedding-related function. 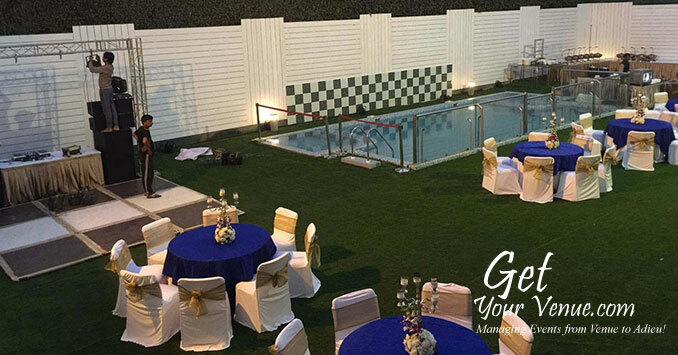 Poolside Lawn – A hidden gem on the Mehrauli-Gurgaon road, this 3,000 sq ft area is made especially for small gatherings of 60 to 100 guests. 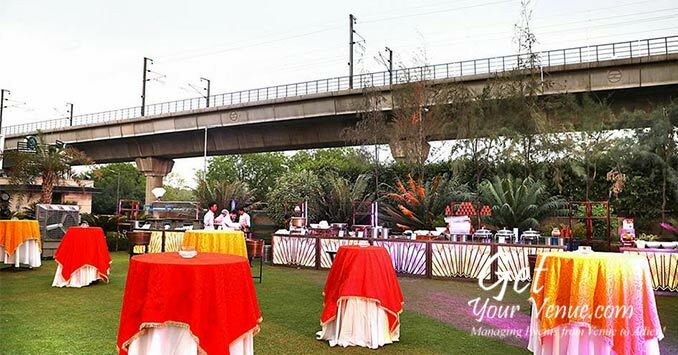 Complete with a pool-side view and an elegant outdoor setting, it is perfect for evening soirées like Mehendi ceremonies, Sangeet functions, and cocktail parties. 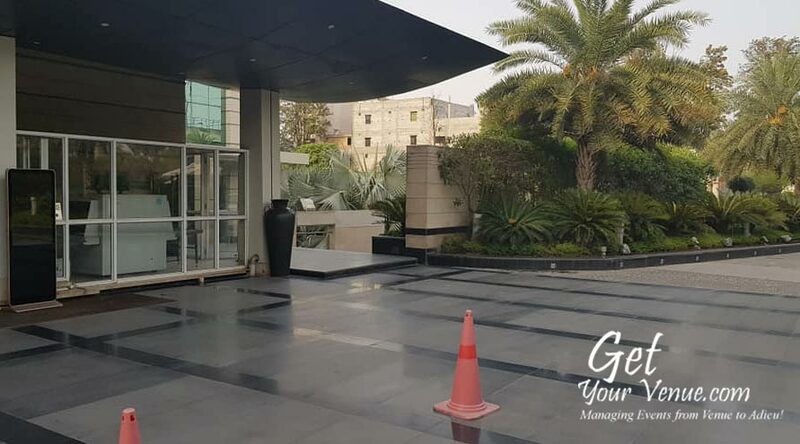 Green Lawn – Adding a touch of grandeur to your wedding functions is this aesthetically landscaped lawn that can accommodate 120 to 400 persons. 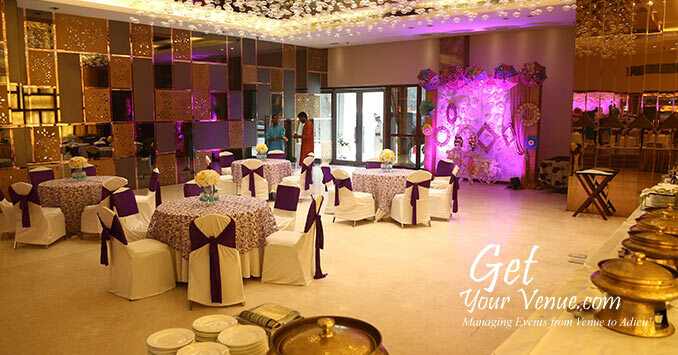 A 22,000 sq ft spacious area, it's a beautiful space to hold pre-wedding ceremonies like haldi, roka, and engagement mehendi. 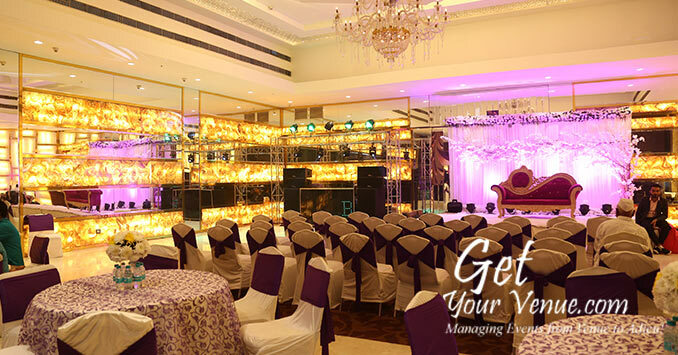 Crystal Ballroom – One of the most stunning banquet halls in South Delhi, this 10,000 sq ft hall is the ideal choice for any grand extravaganza you might wish to host. 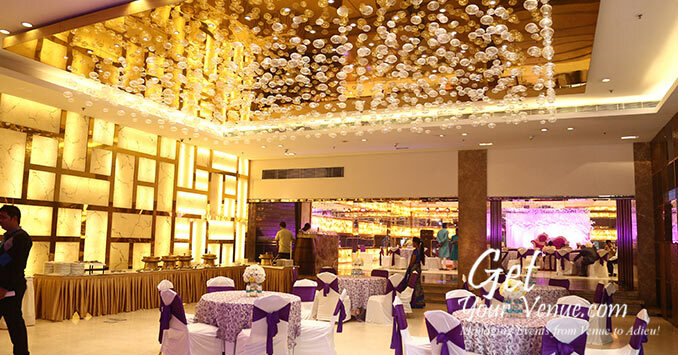 Here you can invite 300 to 500 guests and take advantage of its contemporary styled magnificent decor to celebrate your weddings with sophistication and finesse. To book the D Imperia Hotel Chattarpur, please dial 8800093444.